A project to crowdsource data on climate change is building on its roots in public radio’s Localore initiative, with two partnerships in the works to involve citizen scientists on a national scale. Conceived and executive-produced by journalist Julia Kumari Drapkin, iSeeChange is aiming to partner with NASA and the University of California, Berkeley to expand beyond its origins in Paonia, Colo. Drapkin, a former reporter for Public Radio International’s The World, will seek renewed funding from the Association for Independents in Radio (AIR), which oversees Localore and is soliciting applications for a new funding round for the project. Drapkin hopes to find public radio stations interested in implementing crowdsourced climate-reporting projects similar to the digital almanac she launched in 2012 at iSeeChange’s pilot station, Paonia’s KVNF. “We’re going to be on the floor shopping for dancing partners,” she said. At KVNF, Drapkin asked listeners to submit observations about climate to a platform known as The Almanac. She’s since taken a full-time job reporting for the New Orleans Times-Picayune, and management turnover at KVNF has left the project unmanned by station staff. The station no longer broadcasts iSeeChange stories, yet listeners continue to share observations, charting changes in weather phenomena from year to year. “We just capitalized on the fact that people are experts of their own backyard,” Drapkin said. The continuing dedication among iSeeChange users bodes well for the project’s next phase, as Drapkin lines up partnerships and applies for additional funding. She’s found a high-profile partner in NASA, which has joined her for a project tentatively titled NASA Citizen Science Corps. 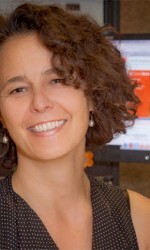 A team at the federal agency approached Drapkin after seeing her give a 2012 presentation to an audience of scientists about the benefits of crowdsourcing. “Everything we do, we’re always talking about engaging the public,” said NASA’s Karen Yuen, who initiated the iSeeChange collaboration. Yuen is the project lead for science data applications for NASA’s Orbiting Carbon Observatory satellite, which measures atmospheric carbon dioxide as it orbits the Earth. Known as OCO-2, the satellite launched in July after an earlier launch failure in 2009. 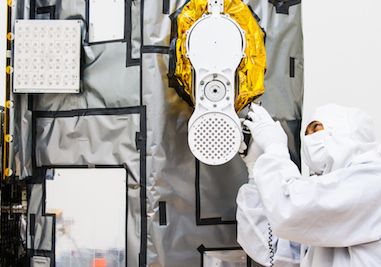 Yuen previously managed education and outreach activities at NASA’s Jet Propulsion Laboratory, which now houses the OCO-2 project. “I felt like we had something missing,” she said of the laboratory’s engagement strategies, noting that the data format NASA traditionally uses is difficult for non-scientists to engage with. By working with iSeeChange and adopting crowdsourcing techniques, Yuen saw an opportunity to create what she calls a “data bridge” between NASA’s findings and the public. The agency is developing a mobile app to allow users to contribute climate data for cross-referencing with OCO-2’s measurements, helping the agency pinpoint locations with higher concentrations of carbon dioxide. The goal for the partnership is to create a “citizen science StoryCorps,” Drapkin said. NASA and iSeeChange will formally kick off their partnership in October at the EcoSXSW festival in Austin, Texas. NASA will then make its OCO-2 data public in spring 2015, at which point participating stations and other parties will be able to access it. NASA is providing around $100,000 in in-kind contributions to the project in the form of app development. Drapkin would like NASA’s app to coordinate with iSeeChange and participating stations to alert users when OCO-2 is in orbit overhead, so they can coordinate recording their data. Stations would gain access to NASA’s local CO2 data and listeners’ measurements, allowing them to turn the data into local stories about how much CO2 communities produce and how it affects the climate. The app would push notifications to users, asking them to record certain data on a seasonal basis. “That’s kind of like the Justice League, when you get the call,” Yuen said. Drapkin is also partnering with the Berkeley Atmospheric CO2 Observation Network (BEACON), a two-year-old data science project housed at the University of California, Berkeley. BEACON measures greenhouse gas emissions with nodes about a mile apart throughout California’s East Bay region to more accurately determine how cities contribute to climate change. The two organizations aim to launch their partnership at a citizen-science workshop hosted by the American Association for the Advancement of Science in February 2015. BEACON is incorporating iSeeChange into an Environmental Protection Agency grant application as a community engagement partner. The grant would provide around $750,000 over three to four years. One of BEACON’s goals is to get people to use local climate data. Half of its nodes are on top of schools, and Cohen hopes to share data and a climate-change curriculum with teachers. iSeeChange can assist the project by housing the data on its website, providing “a storytelling and data collection platform” for BEACON, Drapkin said. The White House named iSeeChange and its BEACON partnership to the President’s Climate Data Initiative July 29. The initiative brings together public and private organizations working on innovative solutions to climate change. The Association of Independents in Radio is preparing to roll out its next iterations of Localore, the innovation initiative that paired indie producers with local stations.